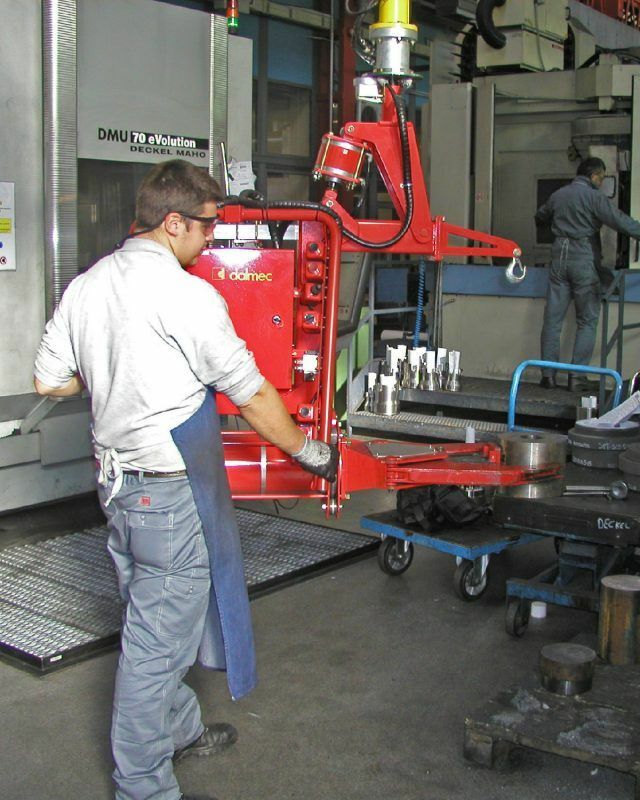 Pneumatic lifter for mechnical parts. Lifting device MXF type Maxipartner, fixed overhead version, equipped with pneumatic gripper tooling for picking, handling and pneumatic rotation of mechanical products. Lifting device of mechanical products. 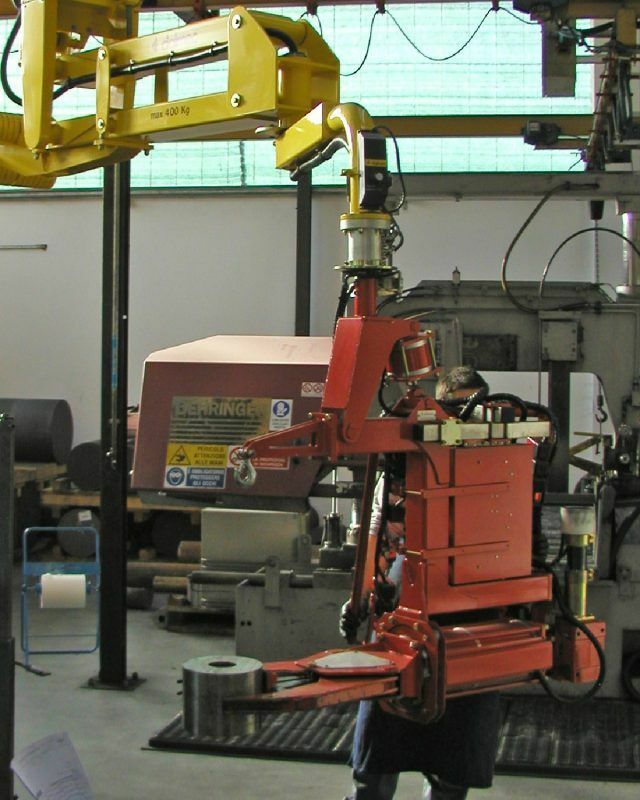 Maxipartner Manipulator, overhead version, equipped with pneumatic gripper tooling for picking, handling and rotation of mechanical products.